Lysandre was born from a Chilean father and a French mother. 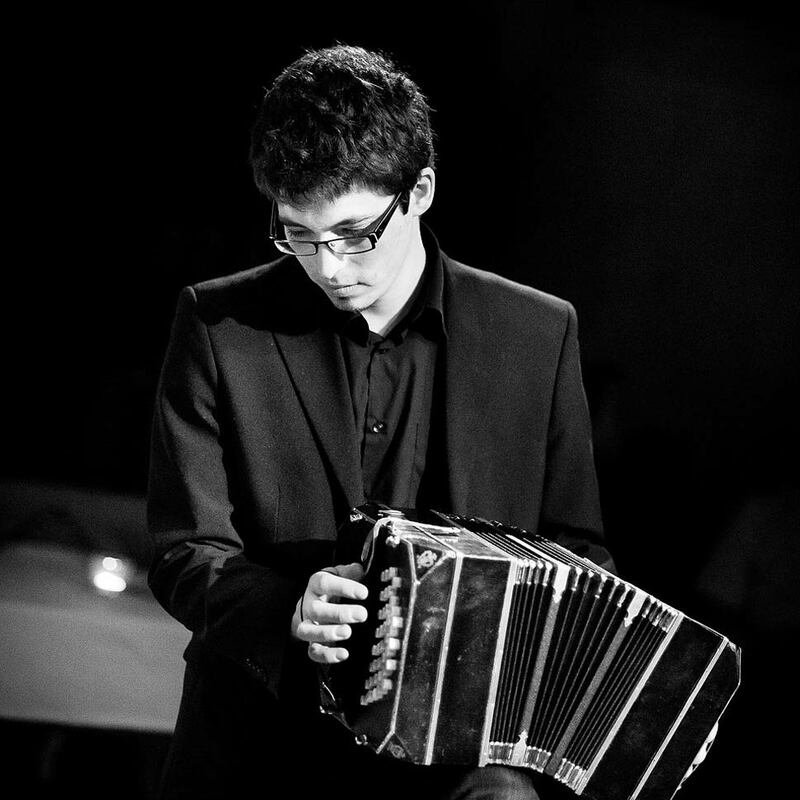 Thanks to the bandoneon he inherited from his grandfather, he began to be passionate about tango. He then created his first ensemble “Nonino Quartet”. During the summer of 2010, Lysandre decided to stop his engineering studies in Grenoble INP and dedicate himself to music. He took lessons with renowned musicians as Víctor Villena, William Sabatier and Per Arne Golrvigen. Later, he joined the Tango Department of the Conservatory of Rotterdam (Codarts) in 2011, under the teaching of Gustavo Beytelmann, Víctor Villena and Leo Vervelde amongst others. L. Donoso owns an AA bandoneon from 1966.